Cloud migration, simply put, is the moving of data, applications, and other business processes to a cloud environment. Migrating to the cloud can bring many benefits to your business, but there are also many things to consider. Here’s are 8 considerations to review when migrating to the cloud. As with any big change, the first step is to notice what you’re already doing. Make sure you have a firm handle on all of your business operations and the types of dependencies already in play. Before you make a change, understand what structures undergird your business as-is. What is your as-is process? Once you have a better idea of how the Xs and Os of your day-to-day intersect with your technology, you can analyze where moving to the cloud could better support your business and improve what you’re already doing. There are lots of options out there when it comes to moving to the cloud, and you need to make sure you’re making the best choice for your business. Here’s a hint: It’s not just about pricing. You need to value experience, especially if you’re a small business or startup that plans to grow. The extra up-front investment will be worth it in the long run if it means that you’re working with a partner who has experience with scalable solutions. Experts predict that 2019 will see an increased focus from cyber attackers on infiltrating the cloud. Beyond the toll on your time, being the victim of a data breach involves a lot of apologizing to current customers that can be damaging to your brand. When you’re looking at cloud solutions, it’s a good idea to be exacting in terms of your security requirements and how you expect a potential partner to safeguard your data. At the end of the day, your partnership with a cloud host is only as good as the service level agreements (SLAs) you’ve put in place to enforce the terms of that partnership. When you look at your contract, make sure you pay special attention to the SLAs and the ways in which those reflect the level of service you expect to receive from your vendor. While cloud migration promises a lot in terms of increased scalability and flexibility, the nuts and bolts of who has access to what (and when) can be tricky. Identity and access management are how you deal with onboarding, offboarding, and everything in between. While it can be complicated to generate a comprehensive list of who has access to what, the alternative can leave you with disgruntled employees who may cause big problems or new employees who don’t have access to the tools they need to get work done. More and more, the workplace is shifting to enable employees to work wherever and whenever they choose. As remote work becomes commonplace, businesses are expected to keep up. As you migrate to the cloud, it’s important to consider how you can enable your team to work more effectively, even if they’re not in the office. Using web-based project management tools like Asana or Basecamp puts everything in one place to make sure that your employees have what they need no matter where they are. Moving key data and documents to the cloud ensures they’ll be able to get things done for you from anywhere. 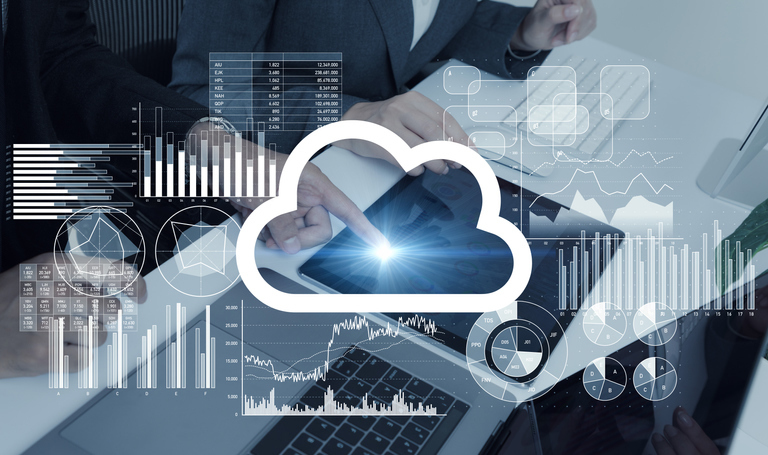 A clear indication that you need to ramp up your migration to the cloud is using complex spreadsheets as a lynchpin for key business operations. It’s not that we have anything against spreadsheets—they’re a powerful and customizable way to track information. But short of large-scale data analysis, you’re probably better off moving that information to a tool designed explicitly to do the job you’re patching over with the spreadsheet. A good example of this is a content publishing schedule. If you’re using content marketing, your business needs a steady flow ready for your blog, your social accounts, and whatever other channels you publish on. A spreadsheet that keeps your content makers, publishers, and marketing staff up-to-date will work in a pinch, but over time, it will prove unwieldy. You’re much better served using something explicitly designed for that purpose. A big benefit of moving to the cloud is the increased resilience you’ll have in the event of a worst case scenario. Because your data isn’t stored exclusively on-site, you’ll still have access to it even if your physical location is inaccessible. If your business is damaged in a natural disaster, for example, you need to have a plan for how you’ll respond. Are you still going to pick up the phone? If so, what will you tell your customers? Cloud migration can take some work, but it can also pay big dividends. Here’s what you need to think about if your small business is looking at making the move. ● Look at what you’re already using, and document your business processes. ● Carefully evaluate your vendors and focus on SLAs.